The Perfect Palm Springs Pad on FEE LAND!!! Located in the Beautiful South Palm Springs Indian Canyons neighborhood, Nestled in the Foothills of the San Jacinto Mountains. 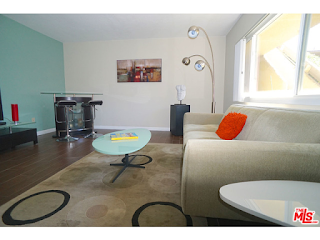 Fantastic Updated and Remodeled Unit featuring New Tile Flooring throughout! Contemporary Updated Bathroom with all New Fixtures, Tile Shower, Floating Vanity and Glass Room Divider Door. The Generous sized Bedroom features a wall of Sleek Modern Floor to Ceiling Glass Closet Doors. Immaculately Landscaped Private Patio with Modern-Style Stone Pavers, Synthetic Grass surrounded with Potted Desert Plants and Zero maintenance Drip Irrigation System. Located just steps away from the Tennis Courts. The Views and Location are outstanding! Community features include: Tennis courts, 4 Pools, Spas, Workout Room, Sauna, Public BBQ Areas and Laundry Facilities.